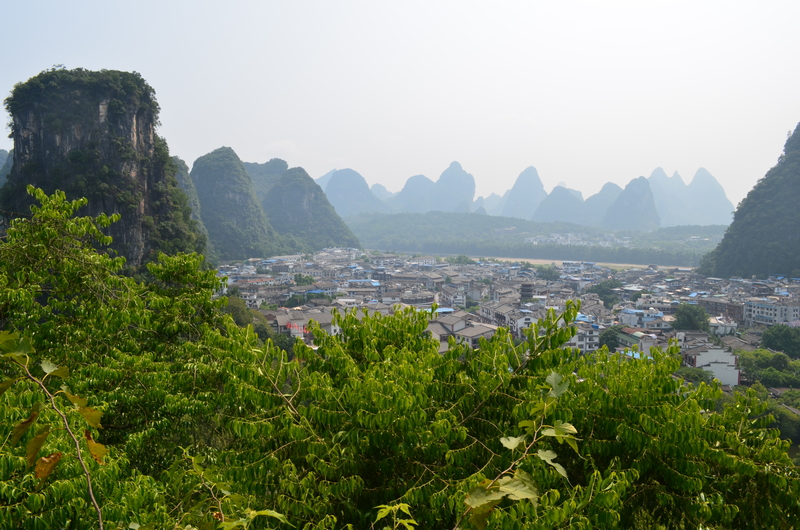 Yangshuo’s beautiful karst mountains are something simply magical. 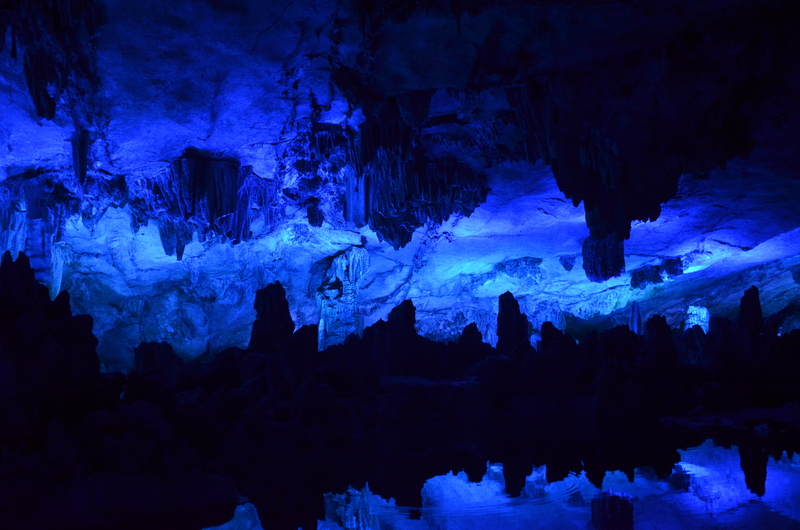 It all looks surreal, just like a different world. 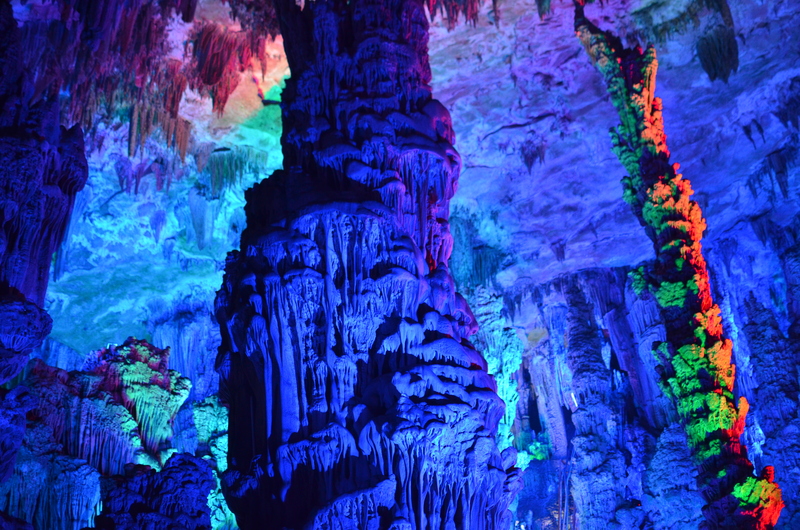 No wonder it attracts crowds every year.I think it’s better to show you some photos than to keep talking about it. 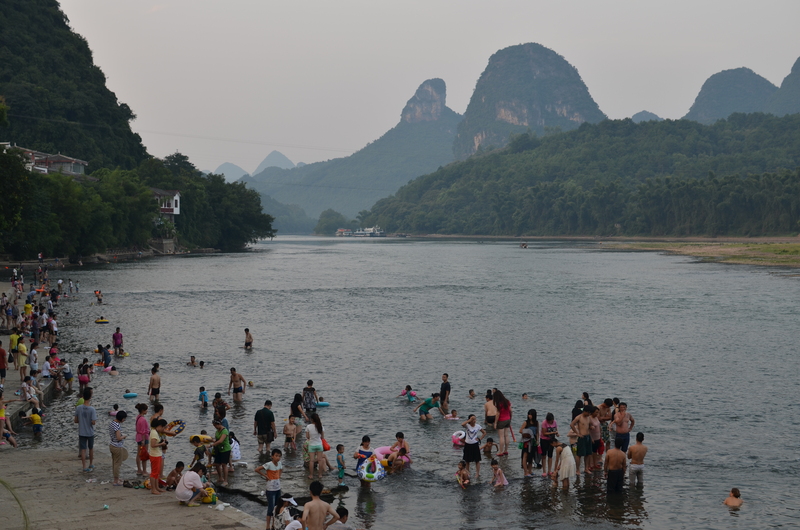 Water sources in China are usually really polluted, so it was really refreshing to see loads of people playing in the river on a hot day. 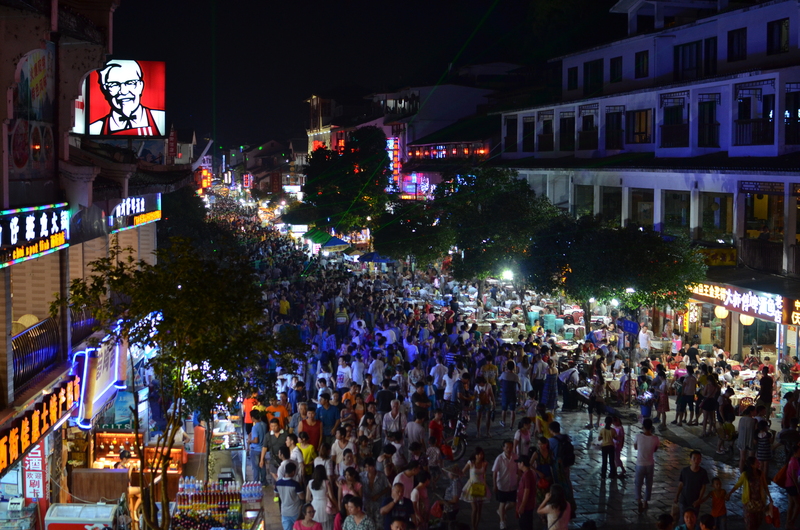 Yangshuo is a really popular place, so streets are often crowded. 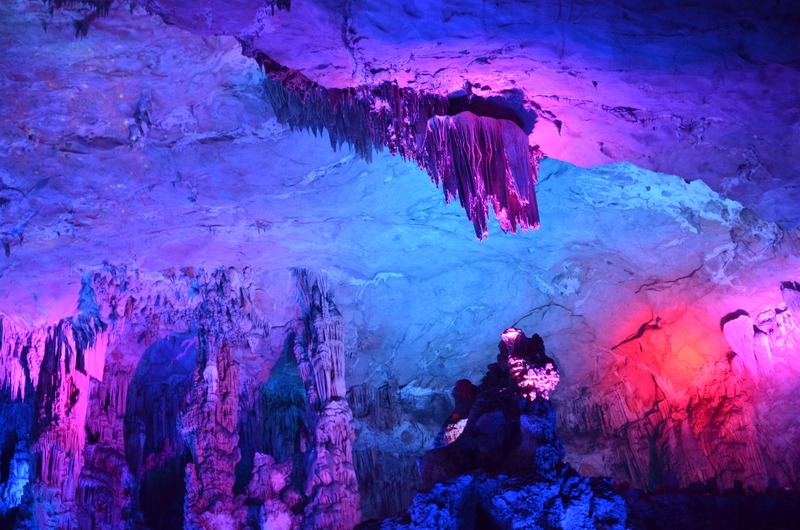 However, loads of interesting is going on and you can get some really nice food there. Somebody convinced me to try this and it was actually really nice treat for myself! 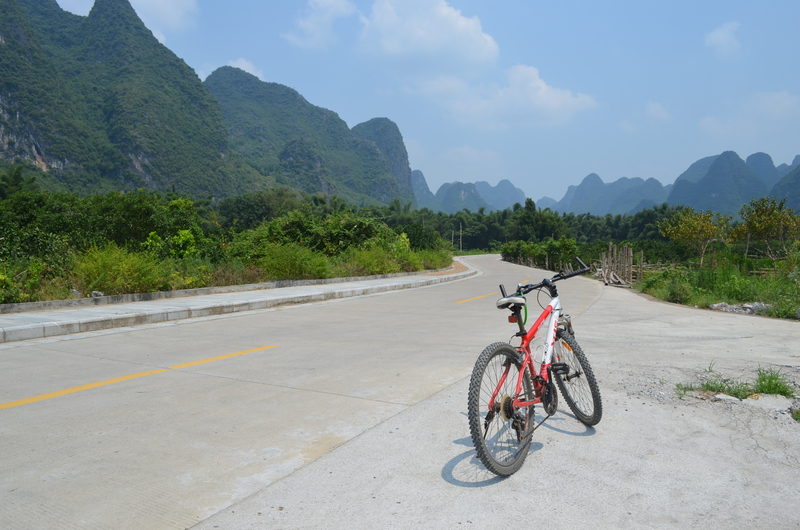 I only spent two nights in Yangshuo and one of the days I decided to rent a bike and cycle to Xing Ping, which is the home of 20 Yuan scenery. I thought it was relatively close – around 28km away. 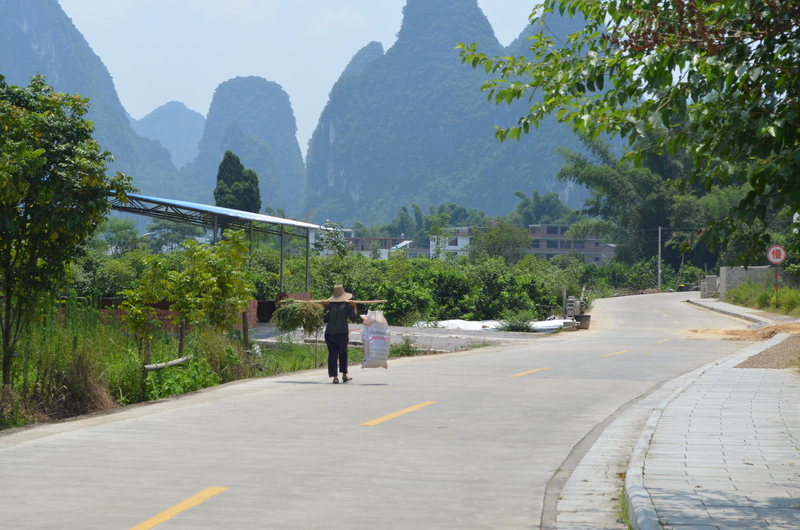 I left quite early, when it wasn’t too hot, but before I even reached the village temperature exceeded 30 degrees Celsius. 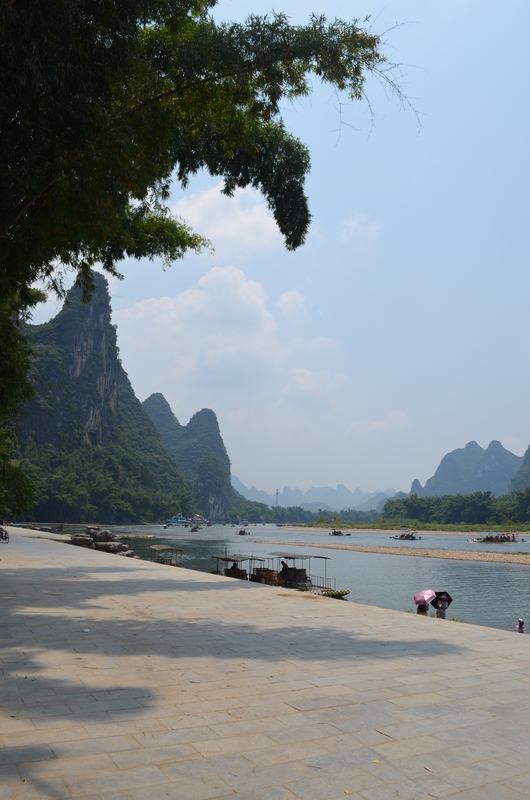 However, the scenery was beautiful and I wasn’t that bothered about the temperature. As soon as I got off my bike, the crowd ran to me and I spent good ten minutes posing with random kids. My face was all red and I looked a bit like a mess after all the cycling but they still thought I was “beautiful”. A few people taking photos of me. 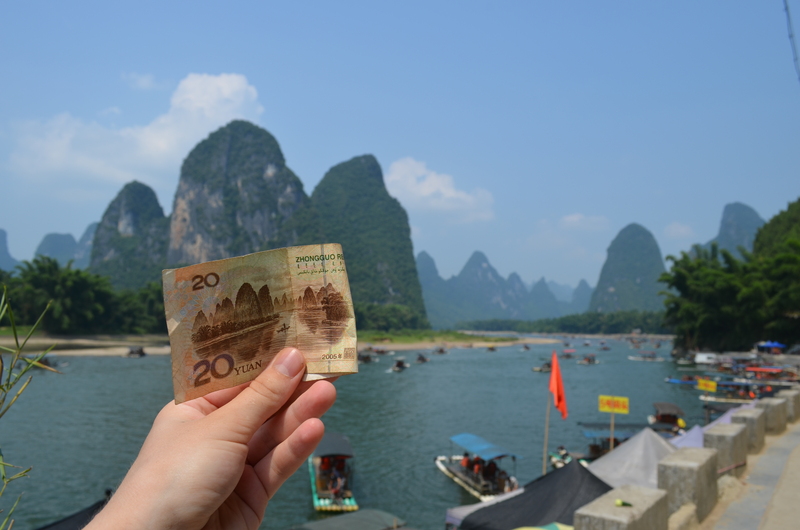 A lonely boat on the 20 yuan note is not lonely anymore. 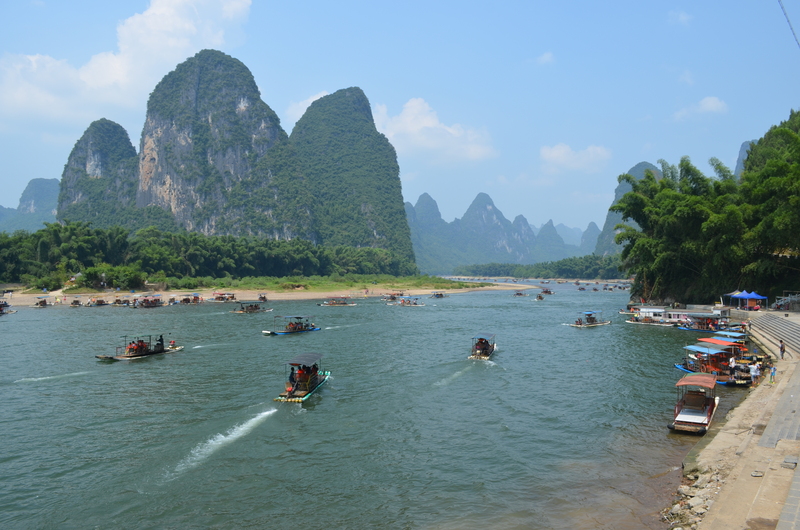 The river is buzzing! 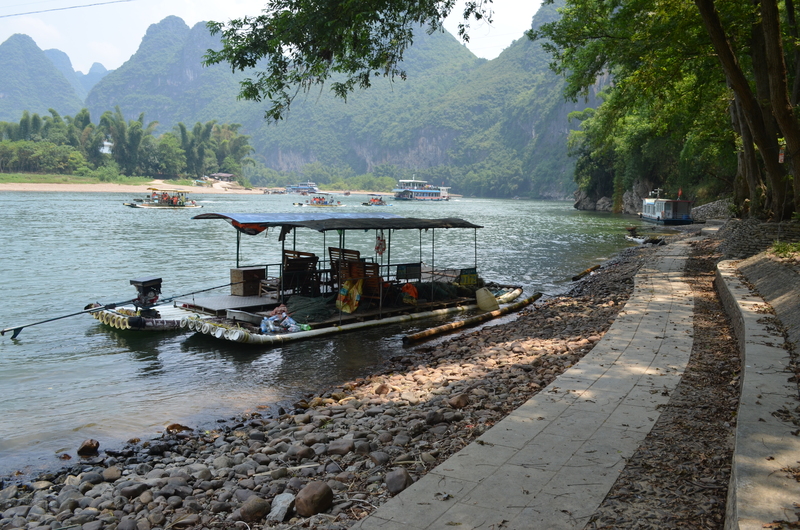 The trip home was a bit of the pain as it was extremely hot. And I got sun burnt, but it was worth it. 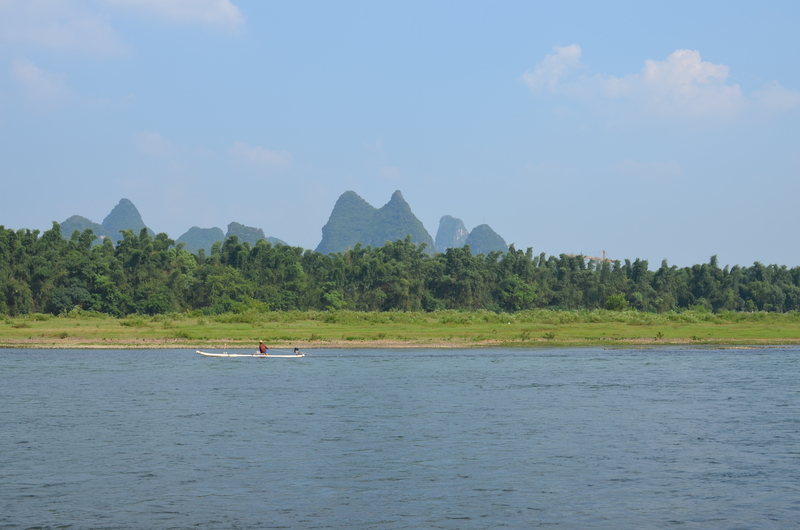 Next day I went back to Guilin. 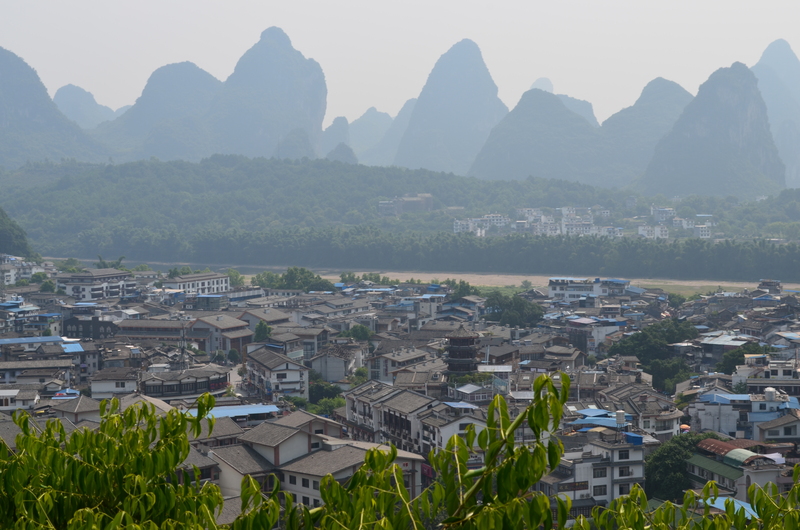 Before I left for Yangshuo I wasn’t sure how long I’d stay there (I thought it’d be only one night), so I left all my stuff in the hostel room and didn’t tell my roommates I was going away. They noticed I was gone for couple of nights and started worrying, good that I got back before they started looking for me. The next couple of days I spent resting and wondering around the town. 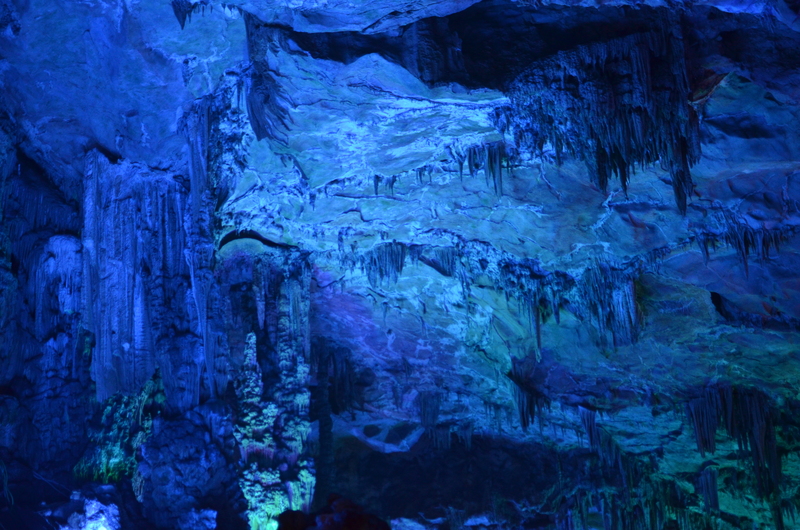 I also went to Reed Flute cave, which is very well accessible by a bus. Some people I met didn’t like it and said it was a waste of money (120RMB), but I thought it was pretty cool. 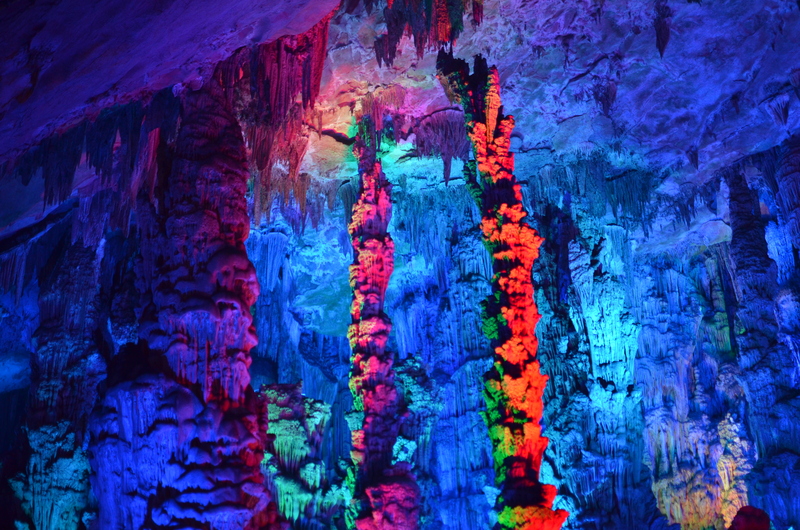 It was my first time in a cave like this and all the lights were creating a magic atmosphere. 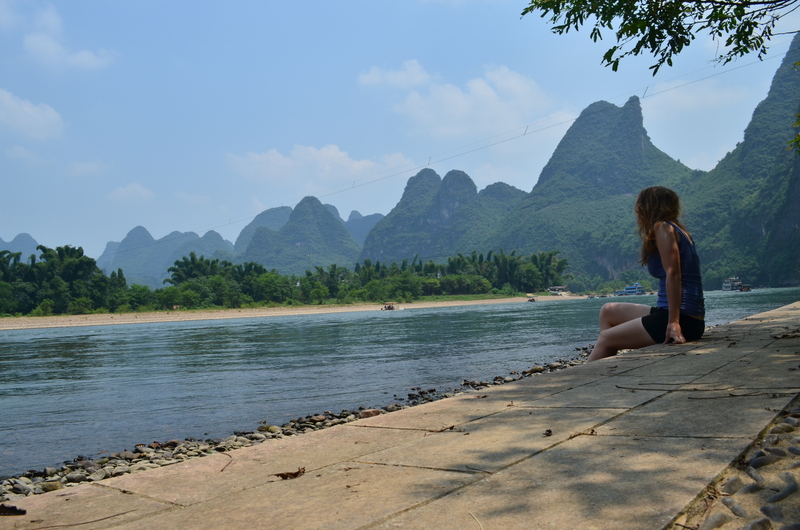 I didn’t do as much as I wanted in Yangshuo and Guilin, but it was so hot and humid that some days I just wanted to rest in a shade and read. 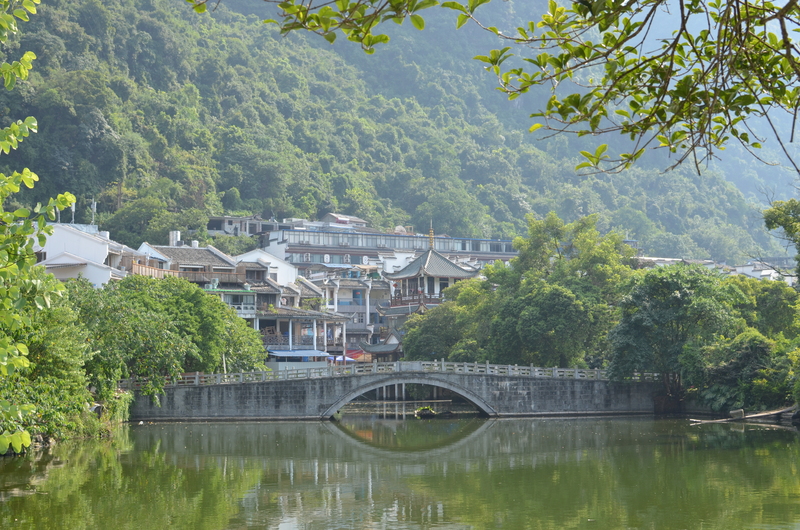 I was quite sad to leave such a beautiful scenery, but I had to catch a plane to Shanghai – my last stop.